Spacing 4 x 6 ft. 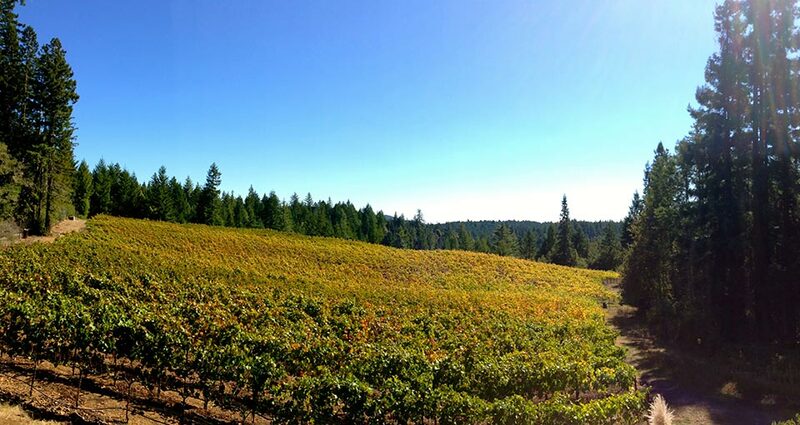 The breathtaking beauty of the area, the coastal climate, and the excellent reputations of our neighboring vineyards led us to acquire this small vineyard back in 2012. This is remote farming at its best, viticulture on the fringe. The property is located just north of the town of Annapolis, CA (population 200) and 5 miles inland from the captivating Sea Ranch coastal community. The proximity to the ocean provides moderate temperature fluctuations that lead to consistent seasons and fruit development. The soil is composed of a thin layer of sandy loam (Josephine series) of volcanic origin, marine sediment from ancient seabeds and rocky formations. Holtermann Vineyard was planted in 2002 to four clones of Pinot Noir, the Dijon 115, 777 and 828 clones as well as the Pommard one. The vineyard´s elevation ranges from 700 ft on the southwestern edge to 800 ft on the northeastern tip. Spacing 3.28 x 6 ft.
Every visit to Doña Margarita Vineyard reminds us of just how special and authentic the West Sonoma Coast is. The gravelly, uphill drive to the vineyard, the fantastic view from atop, the coastal fog just below, the density of the wild forest of redwoods and pines just behind, the proximity to Freestone and Occidental, small towns with such great character, and the overall condition of the vineyard, all represent in more ways than one the combination of beauty and ideal growing conditions of this region. This vineyard is 7 miles from the Pacific Ocean, it is a very cool microclimate where the coastal fog provides very cool nights but sits just below the vineyard during the days allowing for ideal sun exposure. The soil is composed of a thin layer of sandy loam (Goldridge series) of volcanic origin and marine sediment over fractured Sandstone subsoil. 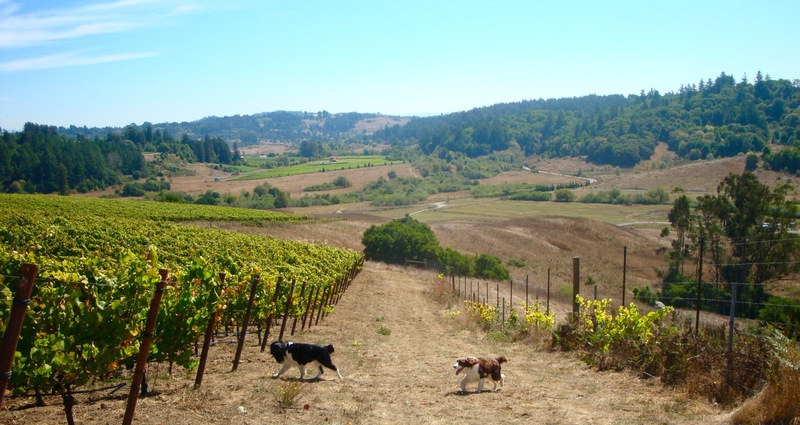 Doña Margarita Vineyard was planted in 2002 to two clones of Pinot Noir, Dijon 115 and Pommard, and its altitude ranges from 500 feet at its lowest point to 625 feet at the highest. We are very grateful to Marimar Torres for trusting us with her fruit for one of our two single vineyard designated wines.